Green has been the buzz-color among household cleaning devices since orange shag started fading into the sunset around the time “video killed the radio star” on MTV in 1980. 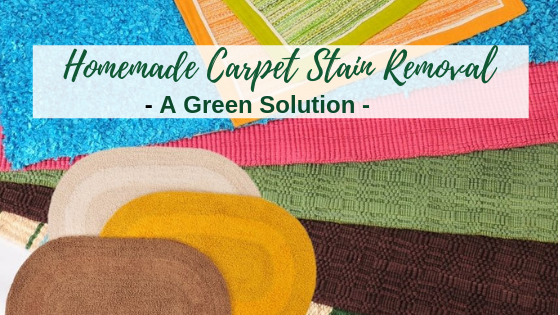 If you know what I mean, then you want your floors clean but have been bombarded with so many chemical-based cleaner choices over the years that simply don’t, well…cut-the-rug. It’s possible you have these items in your home. If you don’t have it, they’re not expensive and should be readily available at your regular grocery store. They’re certainly cheaper than renting a steam cleaner or hiring a service to come in. On average, homeowners are found to pay between $121 and $233 for a professional, carpet cleaning company to come in and do the deed. The costs will also vary based on how many rooms you have, how big those rooms are and the type of carpet in each one. The total cost of the above natural solution can be as high as $45-46. You can't use all of it in one shot. The cost stretches for long periods. You can use it for countless other applications that include eating. Plus, nearly all of those companies use chemical-based cleaners, which is what you’re trying to avoid. The solution is easy to mix, organic, and safe. The most important of mixing this green solution effective is the order in which you apply the ingredients. There are video accounts of this solution working, but the application is key to its success. Some people say to mix the 3 ingredients into a paste. Then allow the paste to dry after you rub it into the carpet and then vacuum it. Most accounts, however, dispute this method. When mix, the baking soda & vinegar has a scientific reaction. It’s similar to ice dropped into a glass of warm soda or a shaken bottle of soda opened too fast. The Kosher salt’s purpose here is to create a grainy, abrasive substance that helps break up stains/dirt. The difference between Kosher and regular salt is size. The grains of Kosher salt is much larger than your standard table salt. The whole concoction is effective not unless you mix all ingredients and let them wet your carpet. The first thing you want to do is spot-mark your carpets to identify the stained areas. Do this on a sunny day when a natural light shines in your room. So, you will know how to deal with it. Then, once you know what and where needs the most attention, you can begin the application process. Start with toughest spots and stains individually before you do an all-over cleaning. This is key: the vinegar goes first. Do a test splotch before you deep clean your carpet. Pour the applicable amount of vinegar on the stain. Don’t soak it. Just make it wet and slightly larger in size than your stained area. Dab it with absorbent paper towels. Then repeat by reapplying the vinegar to make the stained area wet again. Next, sprinkle a small amount of baking soda over the wet area. The vinegar has at this point saturated the stained carpet portion and began to break/soften up the contents of the stain. The baking soda reacts with the vinegar to create a bubbly mixture that starts to lift the stain to the surface. Use a clean toothbrush or a soft brush to scrub the stained areas. For tough spots, add more vinegar and Kosher salt. Then, scrub it. Allow the magic to happen and blot ever-so-slightly with a paper towel, leaving the paper towel sitting over the wet area for approximately 30 minutes. Then, brush the stain as much as you can and run your steam cleaner over the spots. The majority of recommendation by successful users of this concoction strongly suggest that you do not let it air dry. Use your steam cleaner to get up any baking soda residue. Any of your leave behind could harden and eventually clog your vacuum cleaner. Check out some vacuum reviews so you will learn more about it. People have also used irons on medium heat on top of a towel to pull up the stains after using this concoction. It appears to work. You can also dry the wet areas with a hair dryer on medium heat, but under all circumstances use caution and splotch-test your carpet before larger applications of this solution.